You don't have to spend a lot to get a decent pair of headphones. 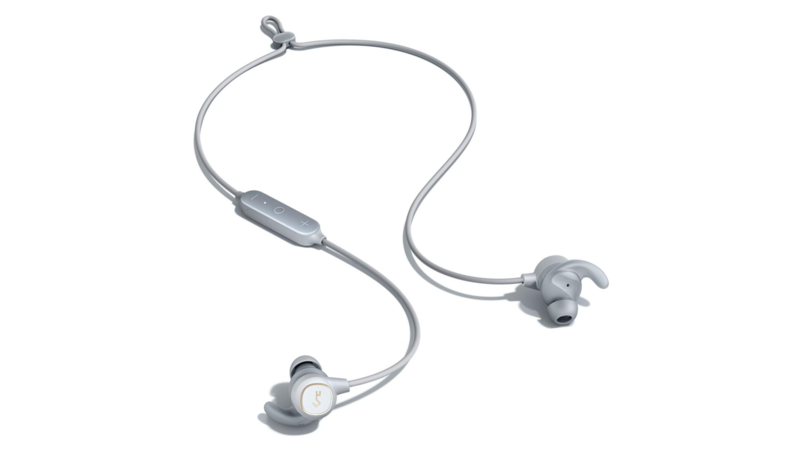 Case in point: Aukey's B60 Bluetooth earbuds. They've got all sorts of niceties, like Bluetooth 5.0 and USB-C charging, and they're a bargain at their usual $60. 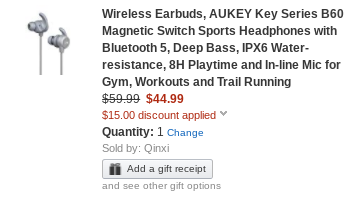 Right now, though, Aukey's offering a $15 discount with an Amazon coupon code. In addition to their modern connectivity standards, the B60 have a magnet in each bud that can hold the two ends together when they're out of your ears. That's also how you turn the headset on and off: snap the buds together and they power off; pull 'em apart and they'll be on and connected to your phone before you get them in your ears. They sound pretty nice, to boot. The B60 come very well-reviewed by Amazon buyers, with 23 of 25 reviewers awarding them five-star ratings. I've got a pair myself, and I have to agree, they're pretty great for the price. To get your pair for $45, enter coupon code AUKEYKS6 at checkout. The code is good until February 5.